Download from Moodle your personal template for this unit. 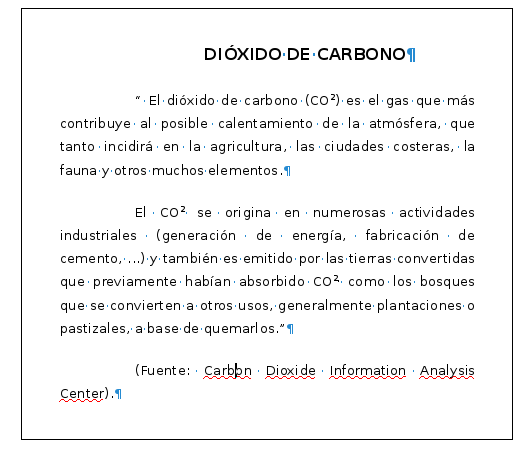 In this file (the template) you will find all the texts needed in order to carry out the exercices. 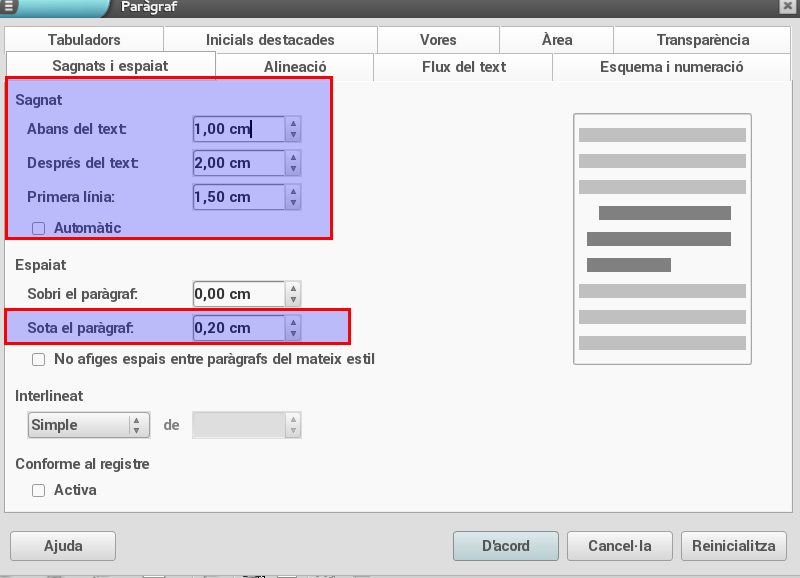 For each exercise, locate its text in the template, and follow the steps shown in this document to achieve the required result. All the activities must be carried out in your template. So it's important to keep this file safe. When you finish an exercise, make a back up copy of the template with the name of the exercise. Upload the file to Moodle once you finish. Open your template and go to the fist page. Select the whole text, and change the font to Liberation Sans size 12. Use the format toolbar. 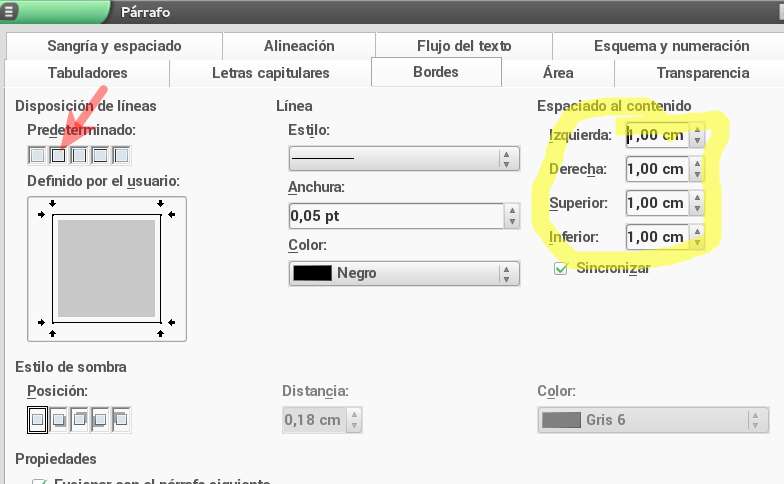 Select the name of people in the text (Tim Berners, -Ray Tomlison) and emphasize them, changing them to bold (negrita) letters. Format the article text with a Open Sans, size 12 font. Apply justified alignment to it. 5. Select the address and set to 9 cm its indentation on the left. Pull the left sliders to the right, and place it in the 9 cm position as shown in the picture below. Before the text: 0 cm. - Indentation on the right (after the text)........... 14cm ( 3 cm from the right margin if you use the formato->parrafo window). 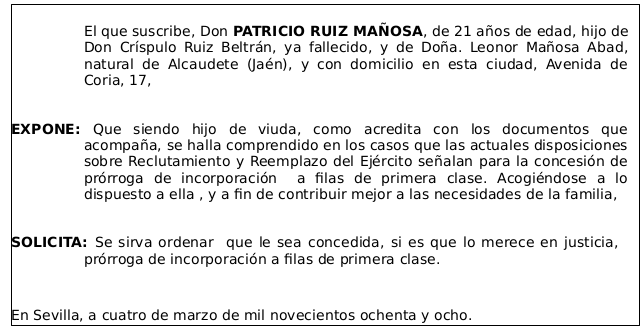 Save the document as Ejercicio5. Open your personal template and locate the text corresponding to the exercise 6. 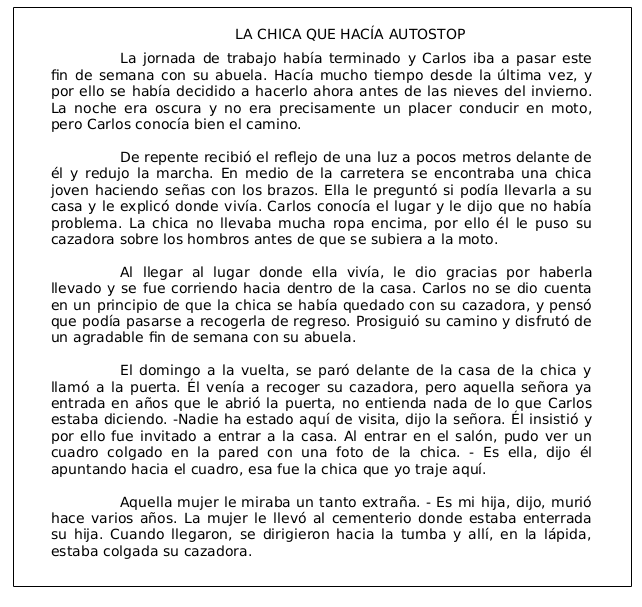 1st paragraph: sangría antes del texto 2 cm. 2nd paragraph: primera línea -2 cm, sangría antes del texto 2 cm. 3rd paragraph: primera línea -2 cm, sangría antes del texto 2 cm. 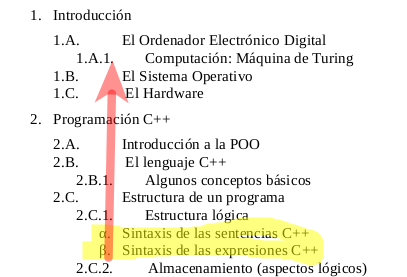 4th paragraph: sangría antes del texto 0 cm. Save the file as ejercicio6_write, (Archivo→Guardar como). Open your personal template and locate the text corresponding to the exercise 7. Set for the whole text the font DejaVU Sans, size 10, and set justified alignment. For the article title (“Dioxido...”) set a font type DejaVU Sans, size 12, bold and underlined. Set centered alignment. Set an indentation of 2cm before the text for the whole article. Select all the text and apply a space between lines of 1,5. Use the interlineado button as shown in the image below. We are going to frame the text in a black box. 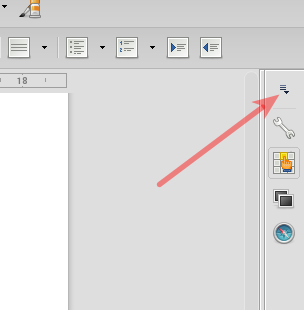 Select the menu formato →parrafo→bordes and set a line in the four sides clicking on the icon marked by a red arrow in the image below. Set the space between the text and the box to 1 cm. In the picture below, is shown the expected result. 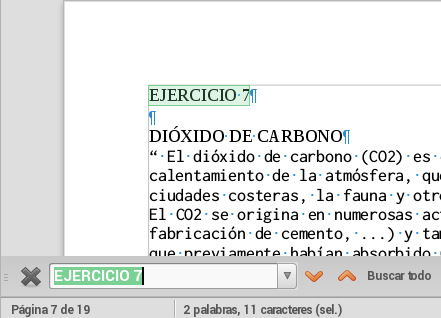 Save the file as ejercicio7, (Archivo→Guardar como). Format the whole text with font FreeSans, size 12, justified alignment. Format the title with font FreeSans, size 14, bold, underlined,and centered alignmet. 0,20 cm of space over the paragraph. 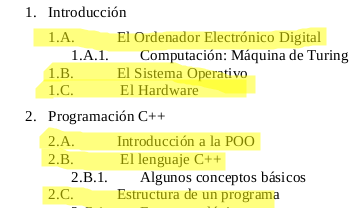 Select the numbered paragraphs and select the menú Formato->Numeración y Viñetas. 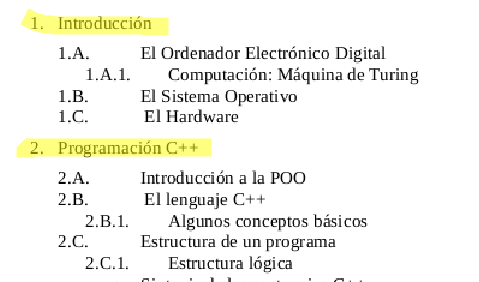 Select the tab Numeración and click on tipo 1, (as shown in the image below). 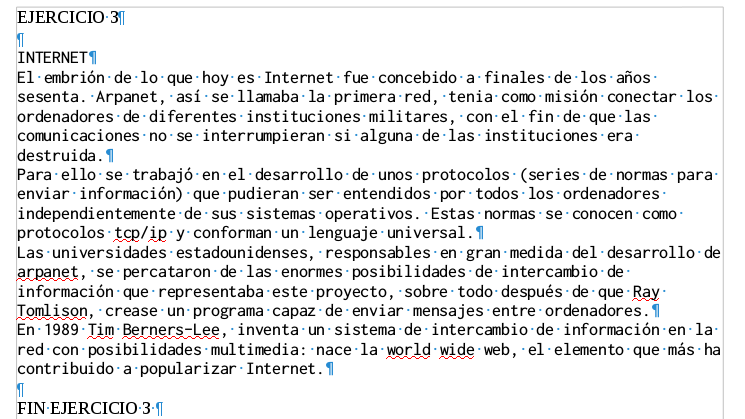 Select all the numbered paragraphs and set 0,10 cm of space over the paragraph ( formato→parrafo→sangría y espaciado). Place the cursor between the number and the text (in the numbered lines) Insert a tab (pressing the tab key) to apply this changes. Format the whole text with FreeSans, size 12, justified alignment, 1,25 cm first line indentation, 2cm after the text indentation. The 1st y 2nd paragraph must have 0,20 cm of space above them. 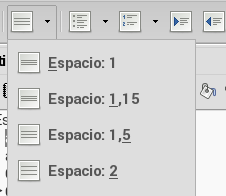 Select the menu Formato-> Numeración y Viñetas. 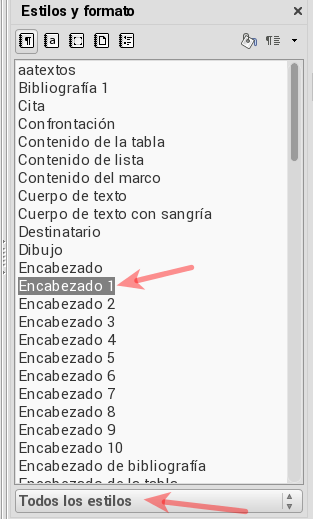 Select the tab Viñeta (bullet in english), select the second arrow type as shown in the picture below. 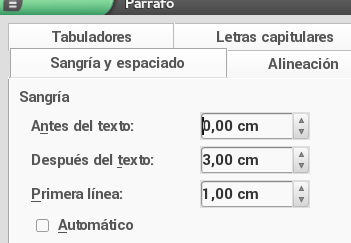 Select the in the tab Posición the option Alineado a 0,65 cm (location of the bullet) and Numeración seguida por 1,25 cm (location of the text). 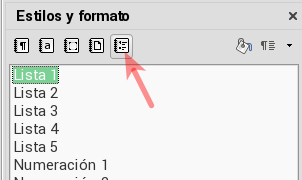 Place the cursor between the bullet and the text (texto viñeteado) Insert a tab (pressing the tab key) to apply this changes in position and alignment. Save the exercise as Ejercicio9.odt. 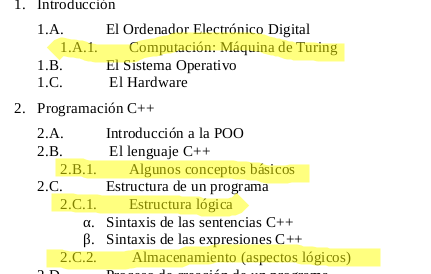 Notice that our goal is to format the text as a list of items in four indentation levels (cuatro niveles o capas). 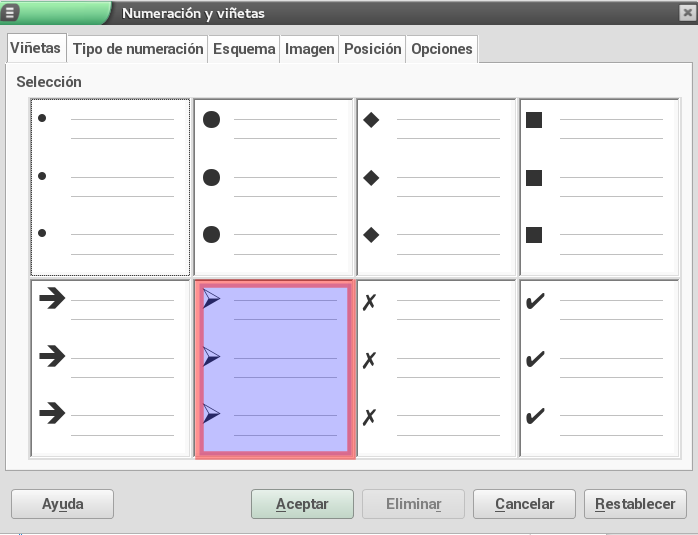 Select the menu Formato->numeración y viñetas→ Opciones. A) Set the 1st level options Numero: 1,2,3. B) Set the 2nd level options: Número: A),B),C) , Mostrar subniveles (2). 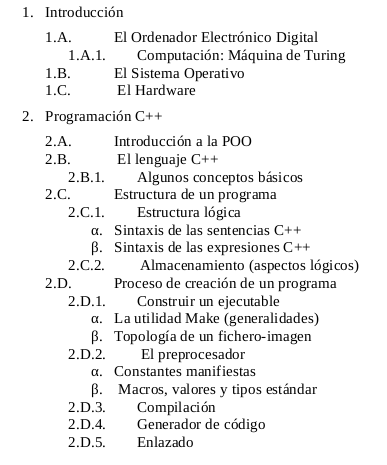 C) Set the 3rd level options: Número: 1,2,3 , Mostrar subniveles (3). D) Set the 4th level: Numero α,β, Ɣ , letras griegas minúsculas. 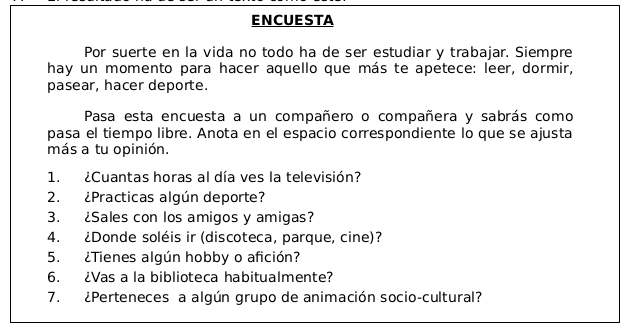 Save the file as ejercicio9, (Archivo→Guardar como). Insert the needed tabs in each line to move them to their proper level, as shown in the image below. 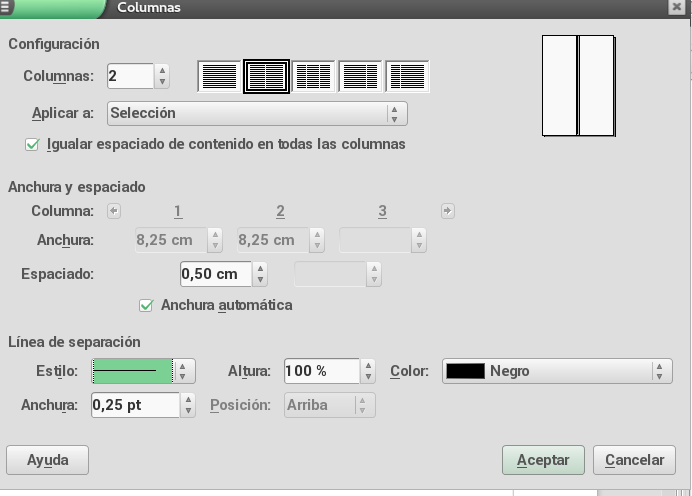 In formato->columnas select three columns and no separation line between columns. Uncheck the option “anchura automática” . Set a space of 1cm between first and second column and 0,5 between second and third. We are going to set a Capitular letter in the first paragraph (Letra capitular en el primer párrafo). 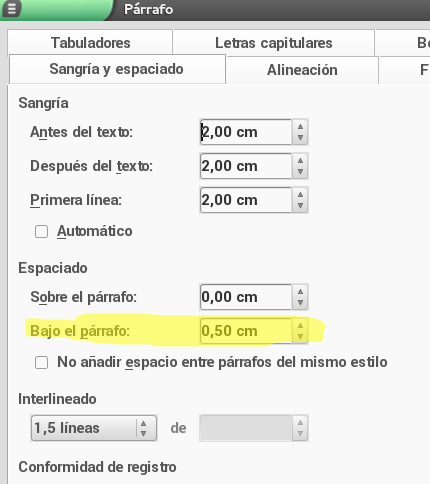 Check the box Mostrar letras capitulares in the tab Iniciales destacadas from the menu Formato ->Párrafo. 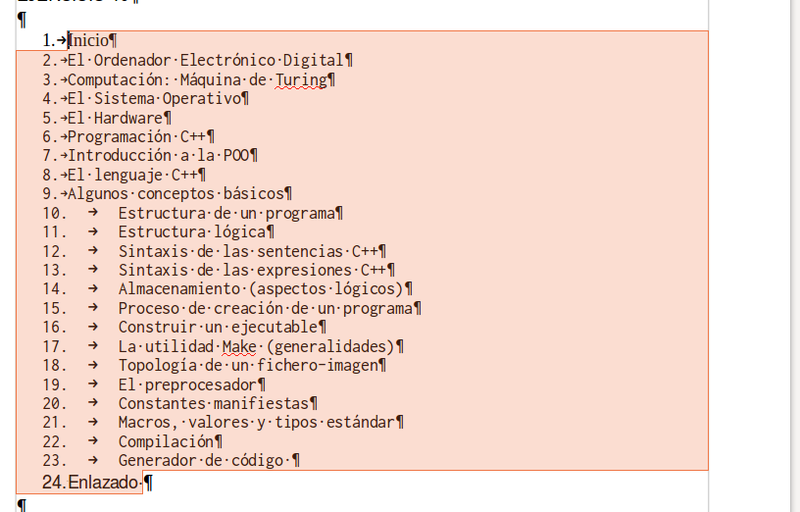 Save the file as ejercicio11, (Archivo→Guardar como). As you can see, the tabs move the text evenly, separating it around 1cm each tab, But we can change that, and use the rule (la regla) to distribute the tabs position wherever we want. Select all the table text. Keep the selection and click on the rule in the positions 4,8, and 12 cm. Every time you click the rule, it appears a little symbol, with an "L "shape. These symbols are tab position markers. The tab characters place themselves in the vertical of a L Marker, forcing the text to move whith them. Look at the image above. It shows how the text aligns verticaly on the right of a tab marker. But it isn't what happens in the table. On it there are a column (TIenda) aligned to the right. the column Producto and cantidad are aligned to the center. 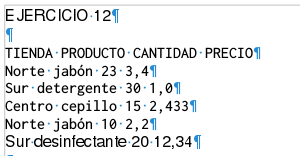 The column precio, is formed by numbers, and the decimal dot is aligned centered with a marker. 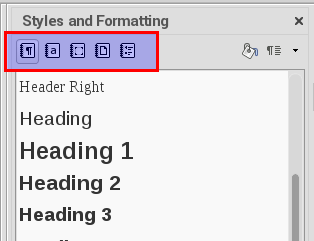 Select all the text in the table and insert centered tabulators in the positions 4 and 8 (it's important you take care of keeping selected al the text in the table while you insert the tabulators, otherwise they won't produce any effect). Finally format the text. Use the font Free sans 12, bold, italic (inclinada) for the column headlines and, and Free sans 12 for the rest of the table. Use tabulations in order to get the format shown in the image. Don't worry about the horizontal dots lines. We will insert them later. We are going to modify the text format just modifying the style assigned to it. We are going to modify 6 different styles in the document. Select the menu estilos y formato. ESTOS MATERIALES SON UNA MODIFICACIÓN SOBRE LOS ORIGINALES DE LA PROFESORA MARIA CRISTINA MONZONIS PASTOR, PUESTOS A DISPOSICIÓN DE LA COMUNIDAD EDUCATIVA EN LA PLATAFORMA MESTRE A CASA.